I am a sucker for Jack the Ripper stories. What mystery fan isn’t? So when I saw this offering on NetGalley, tying the Ripper mystery to New York City, I couldn’t resist. The story is actually a good one, and an interesting, unusual take on the whole Ripper mystery. 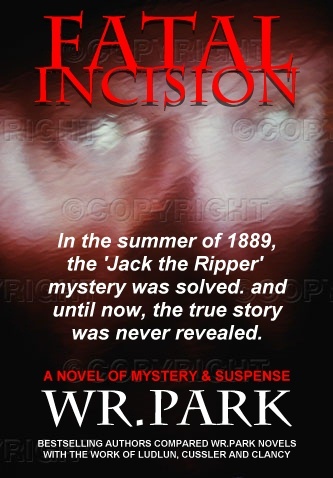 Young Scotland Yard constables Matthew Ward and Jimmy Black launch their own investigation of the Ripper murders in London, much to the embarrassment of their superiors who can’t seem to make any headway on the case. When the London murders stop and new, similar murders begin across the Atlantic, Ward and Black are sent to New York City to assist in the investigation there. Ward & Black track the doctor they originally pegged in London through the streets of New York, as he looks for the mysterious “Joan.” Once in New York, the reader is treated to parallel stories – Ward & Black and Dr. Joshua Croft, the Ripper suspect. Croft’s life in subterranean New York is especially intriguing as he insinuates himself into the lives of the City’s forgotten, who live in the vast tunnels underneath New York. Ward and Black pursue Croft through one grisly murder after another, until they finally catch up to him and “Joan” in a startling conclusion. While I enjoyed the first half of this story very much, I found myself put off by some rather juvenile character situations, particularly that of the “relationship” between Matthew Ward and the beautiful female detective assigned to help with the Ripper inquiry. Completely unnecessary to the plot, IMHO. The story started to drag about halfway through, and I kept finding myself wondering how much longer it was going to take to catch the damn Ripper. However, the unexpected, clever ending made up for the length of the story.